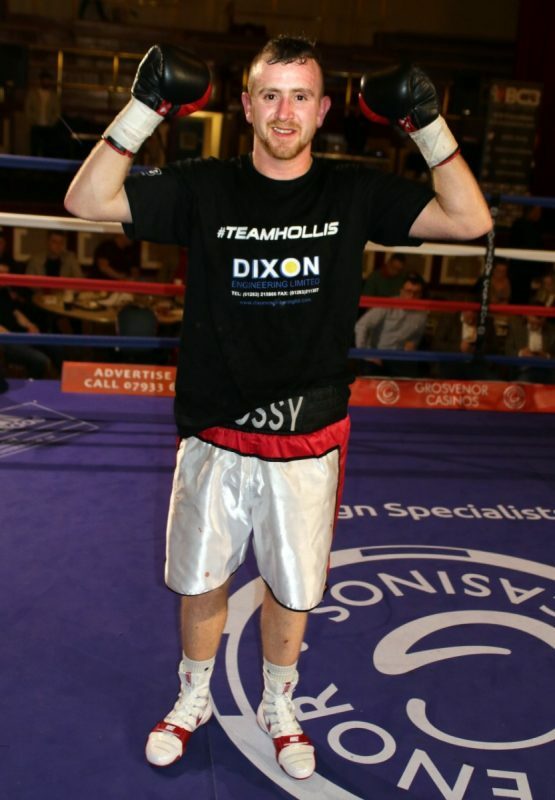 Ross ‘Rossy’ Hollis is hoping to maintain winning form when he enters the squared circle next Saturday (16th February) writes Ben Gibson. Hollis last fought on the 4 May last year against Kevin McCauley in which he won by a points decision. This victory followed an impressive professional debut where he beat Sean Gorman by a technical knockout in the fourth round after Gorman was down twice in the third. “I am feeling great for the fight and I cannot wait to get in there,” he told bcb-promotions.com. “It is a good feeling to have and I make sure that I train my hardest so that I don’t lose it. As a fairly new professional Ross juggles his job as a factory worker with his training but hopes it will be worth it in the long run. “I train six days a week and out of those six days I will train twice on three of them. “I do have to juggle work with training but it isn’t bad because my company allow me to work hours around my training. “Since I was an amateur I have always wanted to turn pro and go on to achieve the highest level that I can in the pro rankings. “It can be hard at times especially being away from my kids; that is the hardest thing.